The concept of Friendsgiving can be traced back to a long, long time ago, when finding the perfect filter and hashtag for your Instagram food pics wasn’t even a nascent dream in Mark Zuckerberg’s head. The year was 2007, when people using the brand new social network Twitter started tweeting about this new and exciting word: Friendsgiving. Now Friendsgiving is as ubiquitous as #hashtags, but we’d like to put our own spin on it. The Authentic Agility spin. 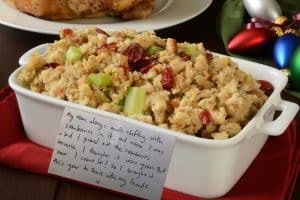 If you’re planning to have your friends over for Thanksgiving this year, think beyond the turkey and football: here are some ideas to help you create a unique Friendsgiving. As always, our focus is on deepening relationships, challenging perspectives, and being empowered to create a life with purpose and meaning. Can Food Help Us Connect? Absolutely. If you’re doing a potluck for Friendsgiving, here’s an idea. Rather than just mindlessly spooning out a helping of your friend Joanna’s green bean casserole, ask each friend to bring a dish that represents something about how they celebrated Thanksgiving growing up. Or, if any of your friends didn’t grow up in the United States, ask them to bring a traditional dish from a holiday where they grew up. Then, have them write on a notecard a paragraph about why they chose this dish. It could be a memory of that time Joe’s grandma in Parsons, Kansas forgot to put sugar in the blackberry pie, and that memory was so vivid that he decided to make a blackberry pie (with sugar this time), to bring to Friendsgiving. Or maybe Amy chose to bring candied yams because she was never allowed to have it as a kid, and now that she’s all grown up she feels kind of rebellious bringing it to Friendsgiving. Have the notecards sitting in front of each dish, so that everyone can read the story while they fill their plates. This can be a fun way to get to know more about where your friends come from, what’s important to them, and memories that shaped their lives. Before you sit down to eat, have each person give a very short toast (a micro-toast, if you will) to something they’re thankful for. 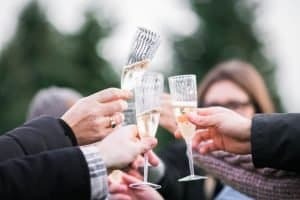 Have a bottle of champagne or sparkling apple cider ready, and after each person says what he or she is thankful for, everyone will toast that thing. For example, if your BFF Sarah says “I’m thankful for my french bulldog, Cheezit,” then everyone responds, “to Cheezit!” clinks their glasses, and takes a sip. Some of your friends’ answers might be ridiculous or silly, and some will be serious. This is good! It represents your friends’ personalities and it will most likely end up being a nice balance of humor and sentimentality. Also, doing it as a toast may make it feel more lighthearted for those friends who still cling to bad memories of Great-Aunt Jeanie pinching their cheeks and asking them what they’re thankful for every Thanksgiving. No cheek pinching allowed at Friendsgiving. If you haven’t yet purchased our first game How Do You See the World?, you still have time to order it on Amazon before Thanksgiving. While we don’t recommend playing the game formally during your meal, set out a few cards around the table to encourage your friends to ask deeper questions while they eat. We saw how fun this can be recently at a luncheon in New York City, when we asked the Authentic Agility question “Describe a transformational time in your life.” Between bites of salad, one person discussed how taking care of her mother when she was sick transformed her life. Another said that the birth of his second child transformed his life. Many of us could identify with these stories, and it was a fun way to give shape to the meal. This also allows your guests to talk to each other on a more individual basis, rather than having the entire group focus on one person at a time. To Watch Football or Not to Watch Football. That is the Question. As we’ve mentioned before, one of our goals is to get people off their phones and away from their screens, but football on Thanksgiving is one of those (newer) traditions that people love. 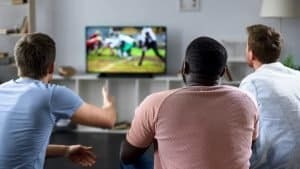 Watching sports with your friends can actually be good for you, much better for you than zoning out scrolling through your Facebook feed while there are real people around you, wanting to connect. With that said, if you want to watch football with your friends on Friendsgiving, you absolutely should. But you could try to break up the commercial time with something fun and interesting that helps you get to know your friends even better. Since football is a high energy sport, choose questions from the Aspirations category of How Do You See the World? rather than Reflections questions. Since every sports game is an aspirational experience, asking your friends about their aspirations is a way to keep the energy high during commercial breaks. You could even just have one friend answer one question during each commercial break so that there’s plenty of time to grab more drinks or another slice of pumpkin pie.